It may surprise you to learn that there’s really not much to it when it comes to keeping your teeth and gums healthy. 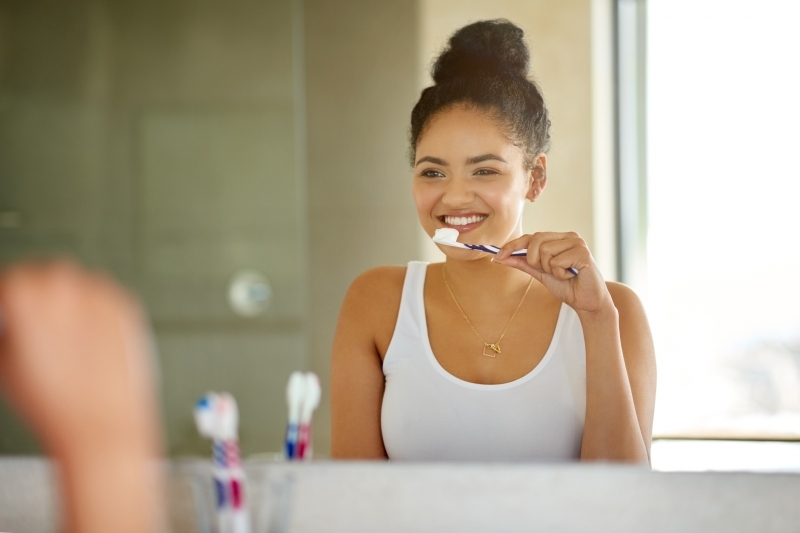 By following these 10 simple brushing, flossing and dental maintenance rules, you’ll be well on your way to a lifetime of good oral health! Tip #1: Brush for 2 minutes, twice a day. Brush your teeth at least two times a day, ideally when you get up in the morning and right before bed, for a full two minutes each time. Tip #2: Floss thoroughly, every night. Flossing removes debris that’s been caught between your teeth. Flossing your teeth every night before bed not only helps minimize the risk of tooth decay, it keeps your gums healthy, too. Take your time and run the floss up and down the sides of each and every tooth for the best results. Rinse daily with mouthwash to kill the germs that cause cavities and gum disease. Tip #4: Make healthy food choices to keep teeth healthy from the inside out. The nutrients in the food you eat function as the building blocks for your whole body – including your teeth! So be sure to eat lots of fruits and veggies, and minimize your consumption of cavity-causing sugar. Tip #5: Protect your smile with a mouth guard. If you play sports, it’s important to wear a mouth guard to protect your teeth and jaws from potential impact. Smoking not only leaves ugly yellow stains on your teeth, it also increases your risk of oral cancer and periodontal (gum) disease. Tip #7: Consider dental sealants. Dental sealants fill the pits and fissures of the teeth where food particles and bacteria can otherwise easily collect. Most often used for children, dental sealants are a great extra layer of protection against dental decay! Tip #8: Examine the inside of your mouth regularly. Take a good look around the inside of your mouth once a month or so, and take note of anything that looks unusual, or different than it used to, including strange lumps and bumps, or sores that don’t heal. If you notice anything out of the ordinary, make an appointment to get it checked out by your dentist. Tip #9: Limit pop and sports drinks. Drinking these sugary, acidic beverages on a regular basis can substantially increase your risk of developing cavities. Replace these drinks with flavoured water (cucumbers are nice!) or milk, and only enjoy pop and sports drinks as an occasional treat. Tip #10: Visit the dentist regularly. Most people should visit the dentist twice annually for a dental examination and cleaning, though your dentist may ask you to visit more often depending on your oral health needs. The dentist and hygienist have tools and techniques that allow them to clean your teeth far more thoroughly than you can at home. Regular exams also mean the dentist will be able to find developing problems sooner, and prevent them from getting worse. Though these 10 oral health tips seem fairly simple (and we’re sure you’ve heard them all before from your dentist and hygienist! ), together, they are the key to maintaining healthy teeth and gums for life. 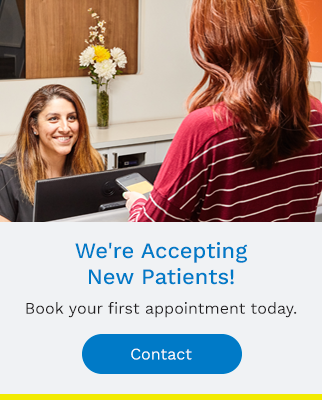 For more advice and information about caring for your dental health, please contact our Vancouver office today to book a consultation!